[event] Live online zbrush and drawing classes. Post subject: [event] Live online zbrush and drawing classes. 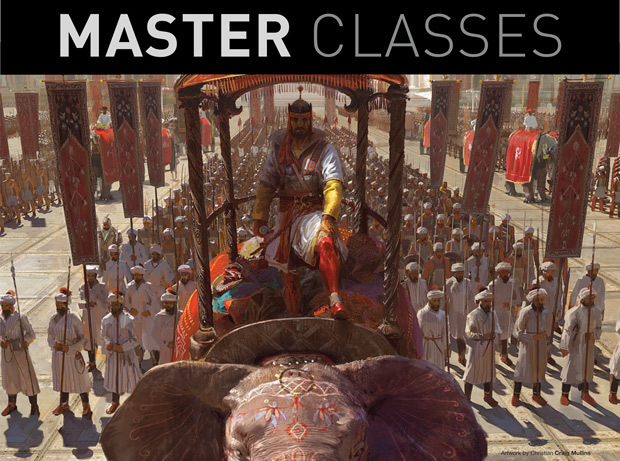 Join us for two weeks of new, exclusive classes in an interactive, online event. Each 2-3 hour class focuses on a different element of the VFX industry and allows individuals to discuss the content with the instructors. One ticket gives you access to all 16 classes! Each class is offered online in a private forum, allowing you to participate in discussion with the instructor and other students. Each instructor will check the forums daily during the first week and will do their best to answer students' questions. Look at the list of the instructors. There are some top designers like Scott Robertson and Feng zhu who talk about design decisions. 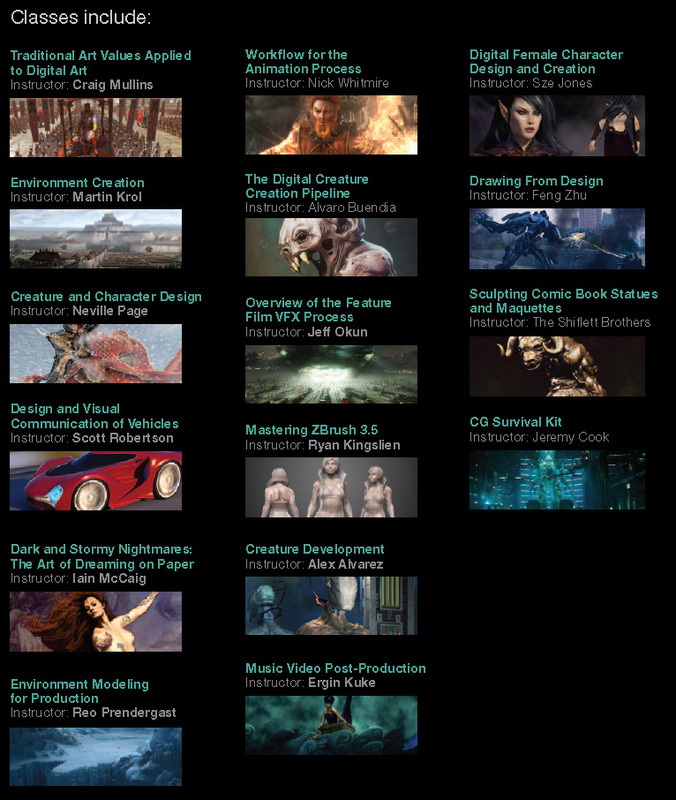 Check out the list, there are 16 incredible artists, all working in the biggest studios. The price is $225 for students and $245 for non students. Consider this really cheap because you get 16 classes with personal critique's on your work..
Hope to be of some help! This seems like something interesting and useful.